Carlos: Hello Nick, first of all I would like to express my gratitude for your predisposition and kindness to accept this interview. During the interview, we will explore your book Unflattening and your experience about the importance of the graphic novels and comics as a powerful teaching tool. 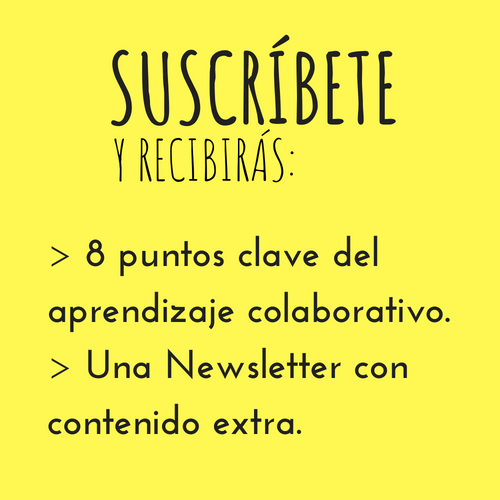 Thank you Nick and welcome to Aprender Colaborando. I would to talk about your book Unflattening published in 2015 by Harvard University Press. I think that with your book you made a very beautiful proposal to use the comic for your dissertation defies conventional traditional forms of scholarly discourse. Additionally, you propose a transverse look of science, philosophy, art, literature, and mythology related to the way humans construct knowledge. ¿Can you talk us about the book and how was the its creation process? ¿Do you think that new ways of dissertation or paper presentation can open the door to higher diversity of people and increase accessibility? Nick: Thank you, and thank you for the invitation. I set out to do my doctoral work in comics because I was a comics maker and I recognized the potential for the form and how I was using it to reach people who might otherwise not engage with scholarship. But it was important to me that I could create access to difficult subject matter for a wide audience not by dumbing it down but rather by giving people ways in to the material through the visuals, their arrangement, and juxtapositions with text. So initially this was purely about access – I love the conversations that happen in academia, but I was always disappointed that they tended to stay there. I felt strongly that everyone could benefit from access to the sorts of ideas discussed in academia once we got past the vocabulary that served as a barrier. In the lead up to actually starting the dissertation I realized that my work needed to be more of a political statement than I had originally thought – the work then ended up becoming in part an argument for itself – a justification for comics in the academy – and for other forms that went beyond purely text. The book is also an argument for interdisciplinarity – for coming at things from multiple perspectives and in some ways justifies my own resistance to fitting in particular disciplinary boxes. I studied mathematics as an undergrad (all the while drawing comics), have a mixed masters in mathematics and art, and my doctorate is an interdisciplinary one as well. I see people as these amazing complex and diverse creatures and I wanted to reflect on how important that is to bring out in our education, rather than to make us fit in something more narrow. This too speaks to the idea that scholarship can take on many forms – how can we make our best work? What happens when we bring other ways of expression to what would once only have been written? In including these different ways of making meaning what new things can we uncover? So we’re in this exciting moment where people are hungry for different models, different forms of presenting and creating their work. It’s happening in higher education and in assignments used in high schools. This opens doors to more fully engaging students in exploring their own ideas and I’m thrilled to see it. Just the other day, I was sent a video from a university student who’d read Unflattening for her college course, and for her project she’d choreographed a dance that addressed some of its themes. It was incredibly moving – and I thought it worked beautifully. I saw things I had explored in images now done with the body and music in a visceral way that really resonated with me and became its own thing. We need more of this. Carlos: There is a double-page in your book that I was impressed with, since it represents perfectly my opinion about traditional knowledge transmission. ¿What is you opinion about it? ¿How do you think that it has to do it in educational context? Nick: I should note here that this first chapter was not meant to be anti-teacher in the least. I’m the child of two teachers – both who live hands-on engagement in the way Dewey wrote about. And I think teachers today are as trapped in this as the students. The pressure of standards on their performance is hideous and it’s hard to imagine entering the field today – though we desperately need curious, imaginative, and fearless teachers. The images here were playing with Freire and the “banking model,” of course, as well as some passages describing education from Rabindranath Tagore. We desperately need curious, imaginative, and fearless teachers. The idea of boxes ties back to interdisciplinarity – dividing our learning up into different subjects – and the fragmented nature of the institution of schooling as a whole. And I think that’s key – it’s not about the teaching as much as it’s about the idea of being “schooled” from an institutional perspective. There’s an idea built in that the teacher knows answers and the students receive them, and yet, I think we want students to go beyond what we can know as the circumstances of the future are ever changing, and so really we want to help them to be able to ask their own questions, to have the confidence to find their own learning. That seems like the goal of real education, and schooling in the state of standards is often antithetical to that. I think we want students to go beyond what we can know as the circumstances of the future are ever changing, and so really we want to help them to be able to ask their own questions, to have the confidence to find their own learning. This question confirms your high sensibility with the idea about the comics and graphic novels like a educational tool. ¿Why are graphic novels and comics valuables and useful like learning tool? Nick: I teach comics courses – and much of my work has come out of my explorations in the classroom. I work with students on how to use comics in their educational settings, but I also work with them to show them how they too can work in visual ways – and what that brings to their own work and their own learning. So, obviously we recognize the visual form of comics makes them accessible in a way that text-only may prove a barrier. Thus comics can be used as the “lite” version of complex subject matter – which is one approach, but they can also be used to get at things in a more sophisticated way than you might with text only. We are highly visual creatures – a great portion of our brain is devoted to handling visual input, we are processing the world every instant at tremendous speeds. Why shut that down when it comes to doing our thinking? In my classrooms and the public workshops I do, my aim is to get people who say “I don’t draw” to see how much they actually know about working visually and to give them a sense of how they can draw to aid their own thinking. When we reconceptualize drawing not so much as a refined craft, but more about organizing relationships in space – which we all can do – it starts to open up what drawing means and how we all can find a way to use it. And it ends up becoming a lot of fun as people discover things about their thinking they hadn’t realized. I see this time and again, and it’s not an anti-text stance, rather why limit yourself to one modality (as discussed up above)? Use all the things that make you human to see where you can go with them. And comics – they can be made with a whole range of skills – it’s an inclusive form, so I see there’s so much to be gained by working in and reading comics to expand their way of thinking. I see there’s so much to be gained by working in and reading comics to expand their way of thinking. I’ve been thrilled to see Unflattening taught in all sorts of classrooms – from freshman college-wide common reads to graduate arts-based research to comics courses to high school history classes. My goal with it was to make something that could be read by an audience with widely differing experiences and that has proven to be the case. My decision to leave out technical terms and keep most of the language in the metaphorical, I believe, makes it readable on many levels and from many different perspectives. Sometimes this means people think it’s about something quite different than what I think it’s about, but I’ve still found that there’s a core idea about their own thinking that comes through – and that’s what has mattered to me. Carlos: ¿How could do a teacher initiate usage of comics o graphic novels without experience or previously knowledge? ¿What advices, references, ways of use can you give us? My thought on this is to just do it. Get some comics and read them with students and talk about it. They’ll figure it out and help you. And this goes for having them make some. Giving them the opportunity to tell their stories in visual form opens up a space where I find that everyone has something to say and wants to get it out. And so they teach themselves. That said, arming yourself with books about comics theory and making comics is a wise move. Scott McCloud’s Understanding Comics is the seminal work to start with here a comic about comics – and his follow up Making Comics is great for just that. Beyond McCloud on comics studies – there are a ton of important scholars who go in different directions and greatly expand one’s understanding of the form. The French scholar Thierry Groensteen’s work springs to mind and a number of his books have been translated into English. They are more difficult reads than McCloud’s – but well worth it. There are great comics scholars writing on theory, on genres, on using comics in the classroom – a little digging and things start to open up. On the making-specific front, I’d also highly recommend the cartoonist Lynda Barry’s works on teaching comics and drawing. Her earlier Picture This and more recent Syllabus that follows her teaching of a comics/drawing class for non-drawers at the University of Wisconsin. Jessica Abel and Matt Madden’s Drawing Words and Writing Pictures is a great resources for making comics. And so much more! Carlos: I saw that you shared in twitter a message that says: «Cooperative-competitive-collaborative comics-making exercise in tonight’s making comics class!». With the message you shared photos in which several hands were drawing in the same paper. You know that main subject of this blog is education and cooperative and collaborative learning. How do you think that comics can promote proactive and constructive collaborative processes in the classroom? What dynamics have worked for you in this aspect? Nick: I’ve tried to come up with a number of collaborative exercises for making comics in my classes. The images you saw on twitter were my attempt at adapting a comics-making performance I saw at Angoulême festival in France. Students team up in twos or threes and are responsible for drawing one panel together in five minutes, while the other half of the table is working on a different sheet of paper. When I call time, they swap and continue the other team’s stories. We did it once with talking allowed and then a follow up time silent. They had a blast! They were laughing hysterically and dreamed up all sorts of crazy things that then make their way into their own comics. Carlos: Finally, would you like to share with us some easy dynamics to apply in classroom? Like this our readers could bring theirself to try it out. So a while back I made up this non-representational comics-making exercise for my classes and public talks, and I’ve since done it with tons of groups, and even as a twitter-challenge last year (#gridsgestures). I called it “Grids & Gestures” and wrote it up as a journal article so that it was easily shareable and now have a devoted space on my website for it, with instructions, the article, a video explaining it, and examples (which I plan to expand). It’s online here: www.gridsgestures.com. The short version of it is that it asks you to think about the shape of your day – and map that out on a sheet of paper in the way a comic breaks a page up into panels (the “grids” part of the name) and inhabit this grid-esque thing you’ve created with lines, marks, or gestures that represent what you were up to or how you felt in that time. I give groups about 5-10 minutes – and I’m always amazed at the results. As I’ve said earlier in this interview, we know more about drawing and about organizing our thoughts in space than we realize – whoever we are, whatever our training. I think the biggest thing is to simply start trying things and trust that the students will come along. Have fun! Comics artist and educator Nick Sousanis is an assistant professor in Humanities & Liberal Studies at San Francisco State University, where he is developing an interdisciplinary comics studies program. His book, Unflattening (published by Harvard University Press in 2015), won the 2016 American Publishers Association Humanities award for Scholarly Excellence, the 2016 Lynd Ward prize for Best Graphic Novel, and was nominated for a 2016 Eisner Award. Unflattening has been featured in the New York Times, The Paris Review, the LA Review of Books, the Chronicle of Higher Education, the New Statesman, and more, and named the best graphic novel of 2015 by numerous critics. Sousanis’s comics have appeared in Nature, The Boston Globe, and Columbia Magazine, and his work has been the subject of solo exhibitions at Moscow’s Non/Fiction Book Fair, Microsoft Research, among others. Sousanis has been invited to lecture on comics at such venues as the National Gallery of Art in Washington, DC, Stanford University, Harvard University, UCLA, the Jaipur Literary Festival in Boulder, CO, the Brooklyn Book Festival, and internationally. Follow him on Twitter (@nsousanis) and browse his website (www.spinweaveandcut.com) to learn more about his current work.